A graduate of Drew University and Logan College of Chiropractic, Dr. Stofman was in 1997, awarded the prestigious Fellowship of theInternational Chiropractic Pediatric Association. During that Fellowship training, he became Certified in the Webster Technique and was trained in Craniosacral Therapy for the Pediatric patient population. He also remains one of only a handful of Doctors of Chiropractic in Southern New Jersey, to hold an Advanced Proficiency Rating in Activator Methods Chiropractic Technique. In, 2008, after decades of struggling with his own personal weight issues, a caring patient took the time to introduce him to Take Shape for Life. Dr. Stofman followed her advice and coaching, and lost over 30 pounds in 10 weeks, and for the first time in his life, he has been able to keep it off. He quickly realized that his patients deserved the same opportunity. Now serving as a National Director and Certified Health Coach with Take Shape for Life, he has been able to coach his patients and other Health Professionals as they have lost 1000s of pounds and finally realized the promise of Optimal Health. 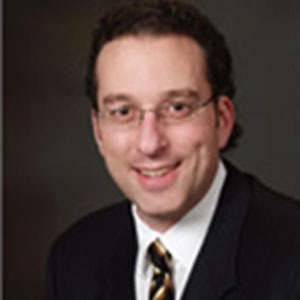 Dr. Stofman is a 2-time Paul Harris Fellow with Rotary International as a member of the Maple Shade Rotary Club, and is a 17-year member of the Camden County Regional Chamber of Commerce. His professional memberships include the International Chiropractors Association, the International Chiropractic Pediatric Association, and the Association of NJ Chiropractors. He lives in Cherry Hill with his wife, Jennifer and his sons, Jake and Noah.